Your fabric furnishings can become dirty quickly. With heavy use, soil and stains appear quickly. It is important to clean your upholstered furniture in order to extend its life. Regular upholstery cleaningenhances the look of your upholstered furniture and ensures that both the fabric and the furniture last longer. The Cardiff Carpet Cleaning Company utilizes professional cleaning technicians. They will always choose the best cleaning method for each upholstery and fabric type. The cleaning system they pick is also determined by the level of soiling that has occurred. 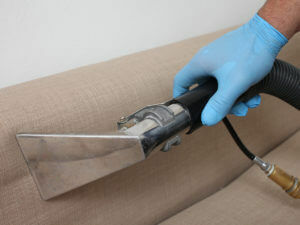 Our professional upholstery cleaning service will make certain that all soil is removed from the furniture. The cleaning process that we use will preserve the furniture and ensure that no damage occurs to it. Our company is able to clean types of upholstery that other companies are unable to clean successfully, or that they won’t even try to clean. Years of experience and professional training mean that we are able to handle any job our customers have for us. Our technicians use specially designed professional-grade cleaning equipment. Every step of the cleaning process is considered carefully to ensure a thorough cleaning and to protect your furniture and fabric. Every part of the process, from vacuuming to cleaning system selection is carefully analyzed to make sure the best cleaning method and tool is used for each job. We use a powerful, yet gentle fabric protector. This safeguards your upholstery against a number of harmful factors and keeps off stains and soil. We use hygienic protectors that not only repel dirt but also protect your family from a variety of dangerous viruses and bacteria. If you would like to find out more about the services we offer and how we can protect your upholstery, please contact us today. We can give you a free quote to get you started. Our upholstery cleaningservices are available to both residential and commercial clients.